Successful businesses are often conceived from a single creative idea: a novel product or process, an innovative business plan or a groundbreaking marketing strategy. As a fundamental step in the commercial development of an idea, it is essential that inventors explore the various intellectual property (IP) issues that are often involved with advancing a concept to the marketplace. For over three decades, businesses have tackled these issues by relying upon the acumen, trustworthiness and energy of the law firm of Kriegsman & Kriegsman. Kriegsman & Kriegsman is a highly experienced, full-service, intellectual property law firm that provides legal representation in all aspects of patent, trademark and copyright law. 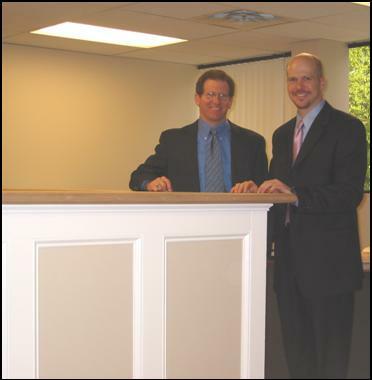 Kriegsman & Kriegsman prides itself in providing attentive and high-quality legal services in a cost-effective fashion. This is by design because quality and affordability are not regarded as incompatible goals at Kriegsman & Kriegsman, but rather, represent the guiding principles of our firm’s philosophy. Providing attentive and high-quality IP legal services in a cost-effective fashion.